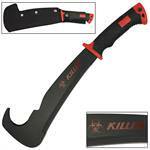 Renegade Zombie Killer Machete. 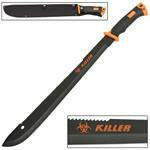 Features 23.75" overall in length with 3.5mm thickness stainless steel blade. 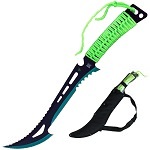 Includes nylon sheath. 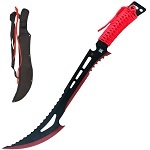 2-Piece Panawal Kukri Machete Set. 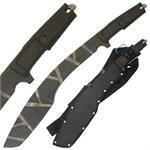 Overall Lengths: 14.5 Inches. 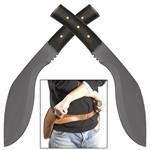 Includes: Leather snap fastened sheath, loop, leather belt. Elk Ridge machete knife. 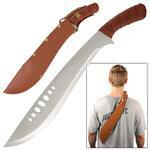 Massive 23 inch long with 16.5 inch steel blade. 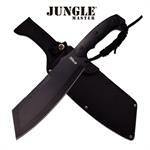 Constructed from a solid slab of heavy duty stainless steel, this full tang machete is a fearsome weapon. 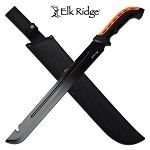 24 Inches overall length with a FREE nylon sheath. 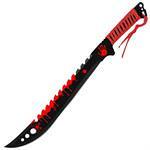 Renegade Red Zombie Slayer Machete. 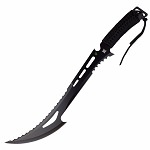 Overall Length: 24 Inches, Blade Length: 17.25 Inches. 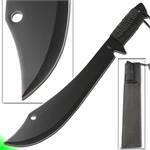 Includes: Black nylon sheath. 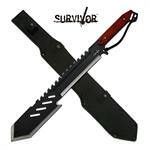 23" Machete With 18" Serrated Blade Cutting Tool Survival Hunting Knife. 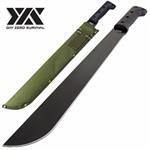 Zombie Killer Full Tang Offset Edge Tactical Machete. 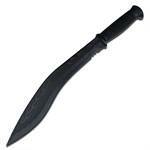 Overall Length: 23 Inches. 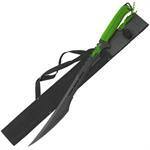 Includes: Black Nylon snap fastened sheath, Shoulder strap, Lanyard hole, Paracord.